Product prices and availability are accurate as of 2019-04-09 09:36:50 EDT and are subject to change. Any price and availability information displayed on http://www.amazon.com/ at the time of purchase will apply to the purchase of this product. 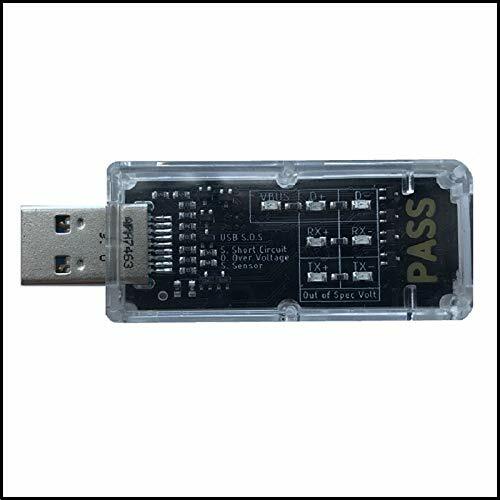 USB Short Circuit Testers are one of the quickest and easiest ways to check port voltage and short circuit in USB ports and USB chargers. 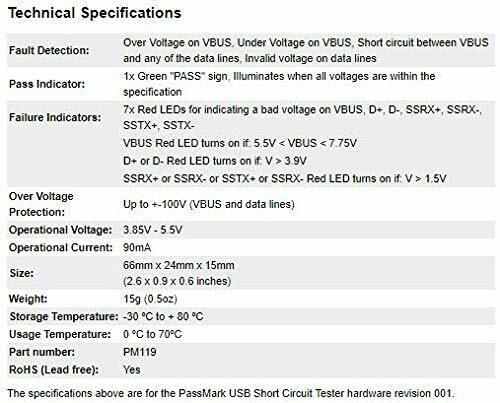 Test over voltage or under voltage on VBUS. Check if there is a short circuit between VBUS and any of the data lines. Detect invalid voltage on data lines. 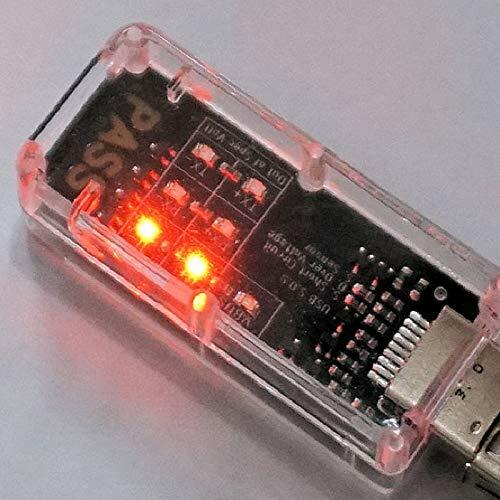 Protect expensive USB devices by detecting bad ports. 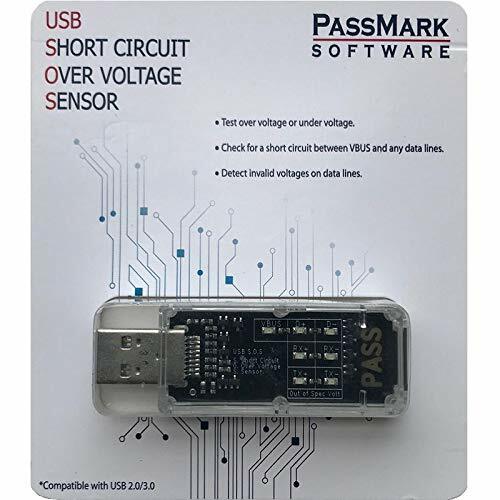 Quickly checks voltages on power and data lines. Seven red LEDs to indicate different type of failures. 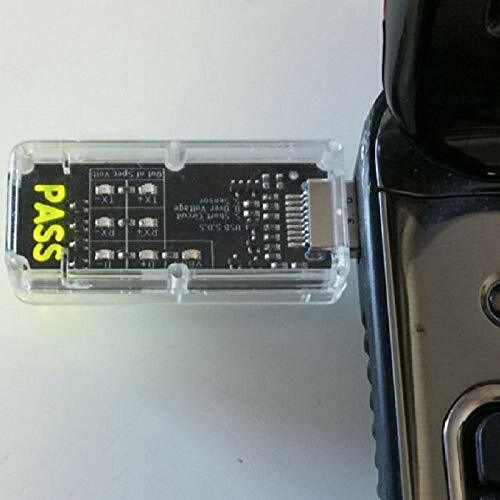 Nearly indestructible device to test USB ports (protection up to +-100V).